When Kevin was three years old and attending preschool he was a die-hard Toy Story fan. I mean, he watched Toy Story over and over again, owned all of the action figures and talked about it incessantly. Often when the phone rang, I answered it to find yet another salesperson on the line. I would hear Kevin’s tiny voice on the other extension. While Kevin was babbling on about Buzz Lightyear, I would quietly hang up my extension and laugh to myself. After repeatedly asking to speak to an adult, to no avail, the salesperson would abruptly hang up. It didn’t take too many sales calls for Kevin to believe that these calls were for him and for me to realize that I had my own personal call-screener. Of all the Toy Story characters, Buzz Lightyear was by far Kevin’s favorite…and why wouldn’t he be? I mean, Buzz Lightyear is cool, he is a toy space ranger and he believes that he could do anything that the “real” Buzz Lightyear in the actual movie could do…like fly and shoot lasers. Buzz Lightyear is a leader who is brave and has courage. He believes that following the rules is the way people should live. Most of all, Buzz believes in himself. Not a bad role model. The morning of Kevin’s fourth birthday he woke to a giant painted, wooden Buzz Lightyear sign on the front lawn, that I had order for the occasion. It read “Happy 4th Birthday Kevin!” We went outside and I took some photos of Kevin standing with the sign, imitating Buzz’s position, both hands on hips. I was elated and proud of myself for renting the sign and making Kevin’s birthday special. (Add good mom props here). It wasn’t until we went back inside that I realized that Kevin wasn’t so happy. Me: “So buddy, do you like the sign? As Kevin went on, I grabbed a toy Buzz Lightyear from a nearby chair and ran to look out at the lawn sign through the front door. I’ll be damned, the kid is right. So, what did I do? Being that this was my first-born son who was obviously upset on his 4th birthday…I did what any other red-blooded, doting, well-intentioned, frantic mother of an unhappy four-year old on his birthday, would…I called the lawn sign company. Immediately. Then I put Kevin right on the phone. I stood in amazement (staring at the toy Buzz Lightyear in my hand) while four-year old Kevin perfectly described every detail and every color of Buzz Lightyear’s suit to the lawn sign man on the other end of the phone. Yet, I think that Kevin was onto something, there’s a lesson in here for all of us. 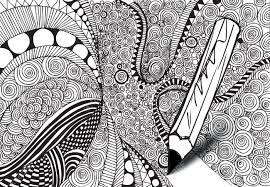 It is all in the details…they matter more than you think. 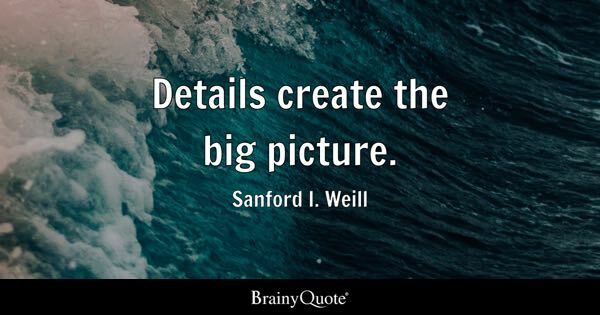 If you stop and pay attention to the details, in your work, your relationships and in your life, it will show in the big picture.